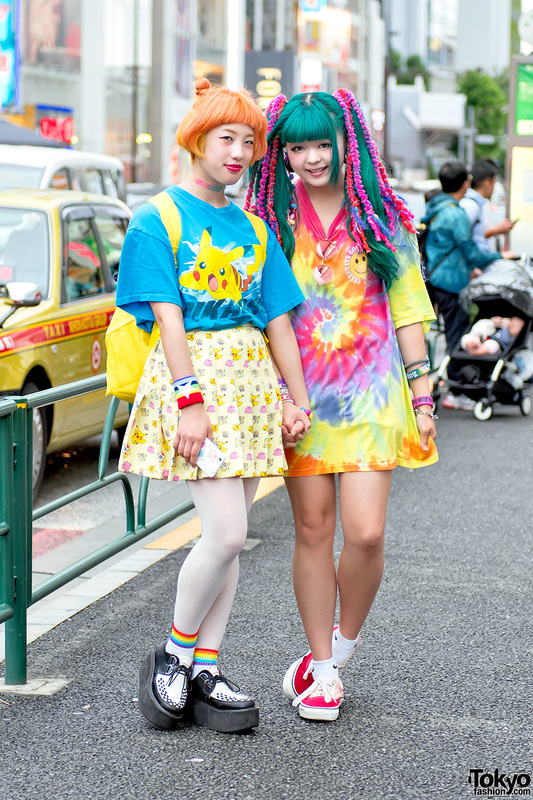 Salmon Yurika no Shiro and Maari are two colorfully dressed girls who easily caught our eye on the street in Harajuku. 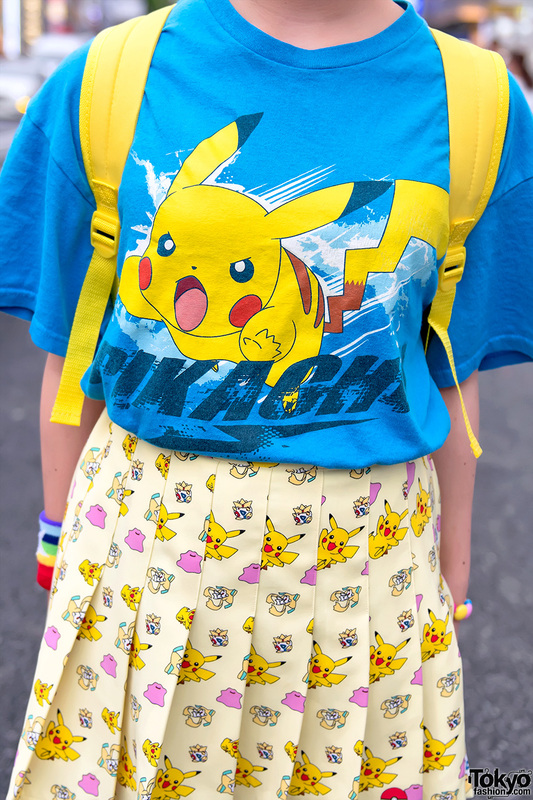 Salmon Yurika no Shiro – on the left with orange hair in double buns – is wearing a resale Pikachu t-shirt from Spinns Harajuku with a Spinns pleated Pokemon skirt, white tights, rainbow socks, and Yosuke platform creepers. 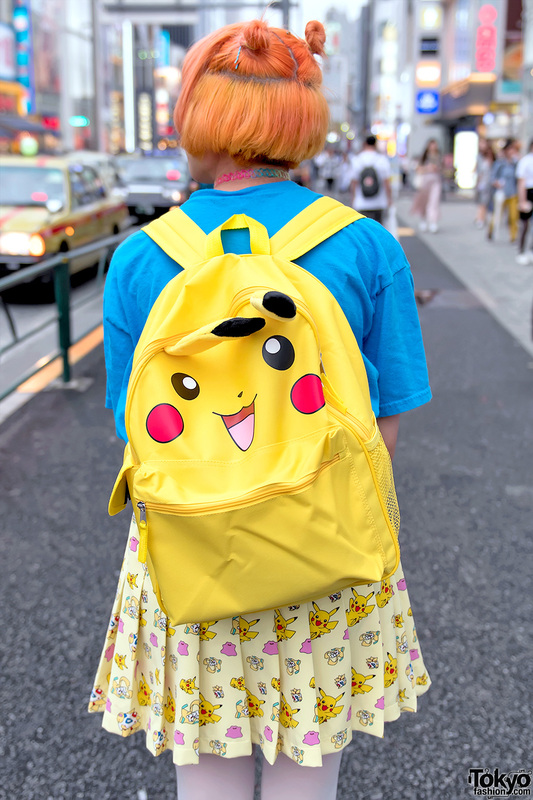 Accessories – which came from Spinns – include a rainbow wristband, rainbow bracelet, and Pokemon backpack. 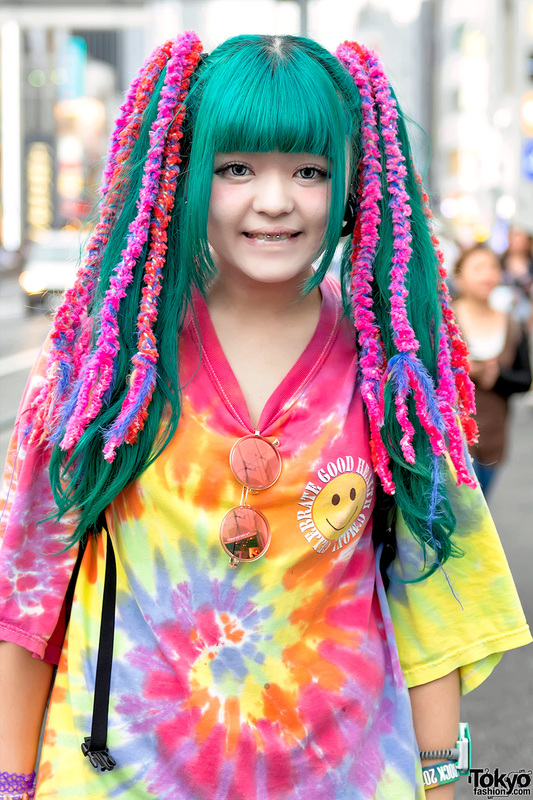 Salmon Yurika no Shiro’s favorite bands include Acid Black Cherry, FeelFlip, One OK Rock, and Man With A Mission. Find her on Instagram or Twitter for daily pictures. 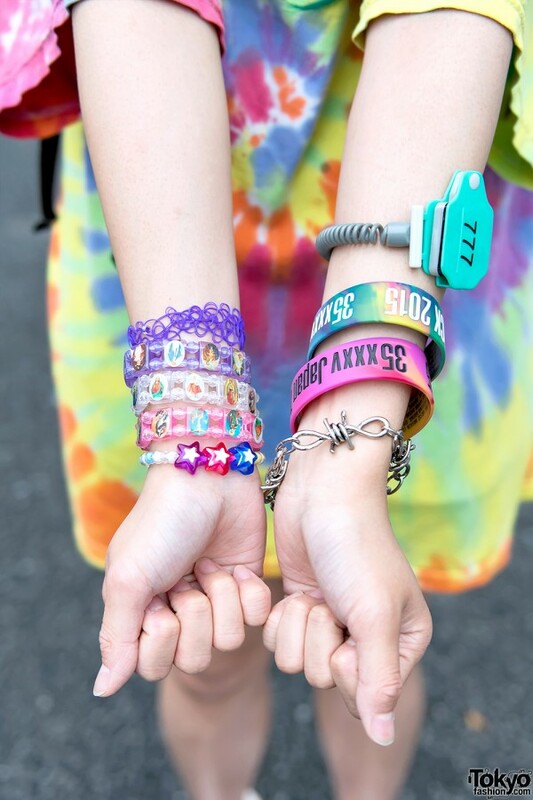 Maari – on the right with green hair and raver hair falls – is wearing a resale tie dye t-shirt over resale shorts, and classic Vans canvas sneakers. 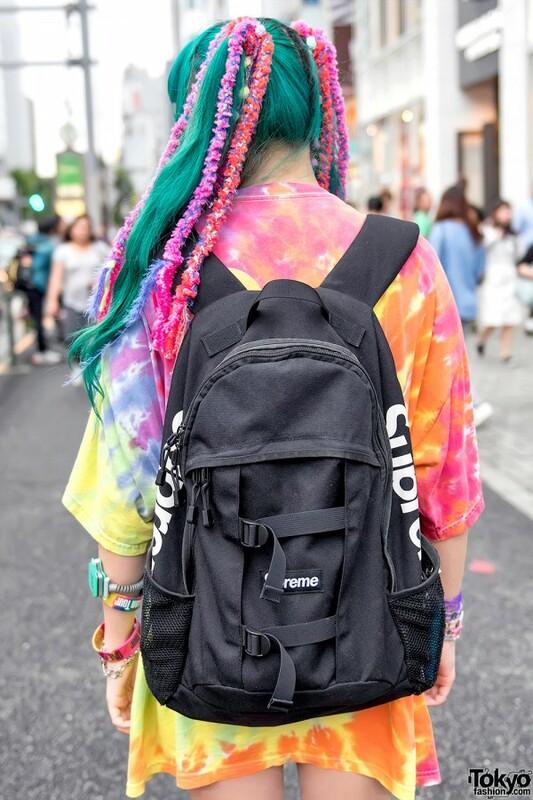 Accessories include One OK Rock bracelets and a Supreme backpack. Maari’s favorite brands include Garret and Mud Selektor. 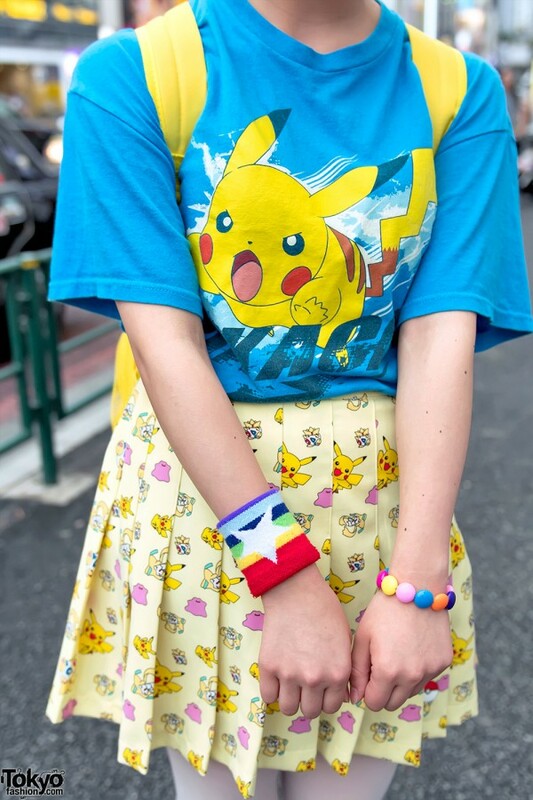 Her favorite bands are One OK Rock and Denpa Girl. Find Maari on Instagram.